This wasn't really a planned race - in fact, I didn't even know about it until a couple weeks ago, right after the Rock 'n' River run in Reno. But Dave and Chris talked me into it, being a lower altitude, super flat course that I might be able to chip a little more off my half marathon PR on. Then, of course, Dave found a way to slip off and do some Warrior Dashing in Georgia, but that's a different story. Chris, his wife Abby and I drove over the hill Saturday night, fueled up at a restaurant near Sacramento, and bunked for the night in Rancho Cordova. Had a quick hot tub soak to loosen the muscles from the car ride, and a fairly early bedtime. Up early to drive another 45 minutes to Lodi and the Woodbridge Winery, where the race was being held. 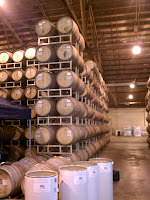 Apparently, the whole expo area was set up outside last year, but since the weather was threatening rain, the winery had put most of the tents up in their big barrel warehouse. 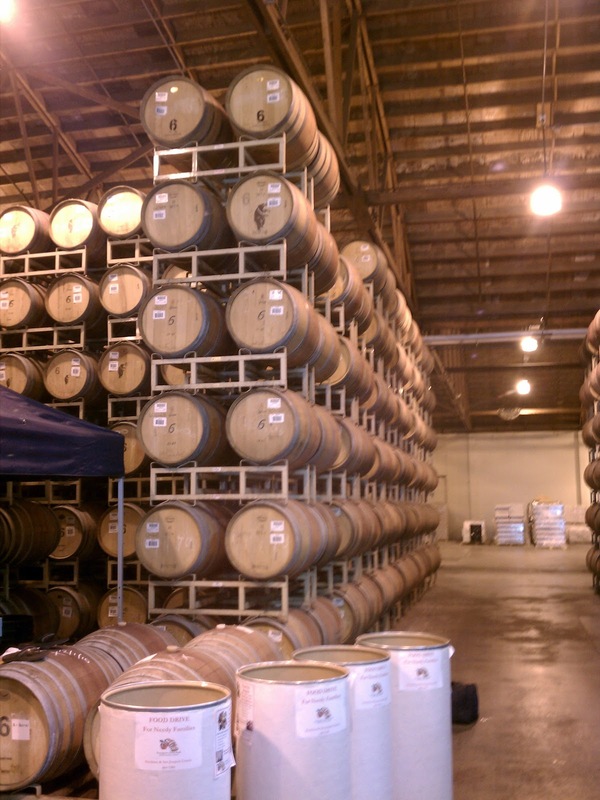 It was kind of cool, picking up packets and wandering around in the shadow of all the wine barrels. Didn't get to do too much of that, though - the half started at 7:00, and I barely had time for a couple warmup laps around the parking lot before getting to the start line. The half started only a couple minutes late, and after a quick left turn, we were on to one of the longest straghtaways I've ever run in a race. Four miles straight north, two or so east, then a few turns before three or so straight south. A couple more turns, and after a right at mile twelve, you could see the finish line a mile away. Heading out for the first section, I hadn't realized that the wind was behind us. This made it deceivingly easy to hold my pace right around 6:30 miles. When we turned east and felt some of the crosswind, I realized that the trip back south was going to be a bit harder. It was on this east-facing section, too, that there are a few dairy farms right near the road. It smelled pretty bad for about a full mile. There were a couple of breaths that were so ammonia-ey I actually had to suppress a gag reflex - but it sure was nice to get past those and have fresh air again. Fighting the wind heading back south, my pace climbed into the 6:40s, and I had three straight miles at 6:49. Chris, after winning the 5K, came out and found me at about mile 11, and talked me in. With his help, I managed mile 13 back down to 6:30, and finished with a chip time of 1:28:17, just under a minute faster than two weeks before. Bizarrely, the 15 guys (and one girl) who finished in front of me were all in their 20s, 40s or 50s, so I won the 30-39 age group. Which was nice, because the age group winners of the half marathon took home a ginormous 3 liter bottle of wine - a "jereboam", I think it's called. Engraved with the race and "Age Group Winner" - a very nice prize. Still not sure when I'm going to be able to open it - that's a lot of wine. 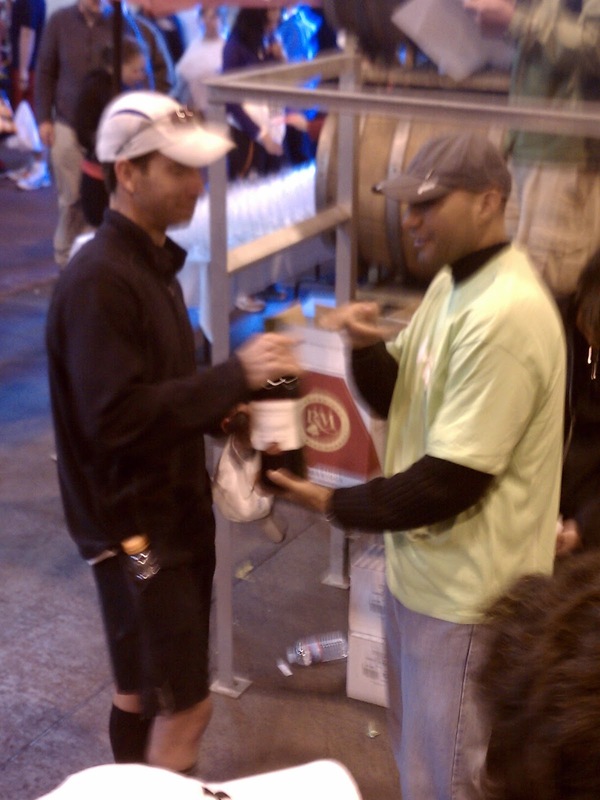 The winners of the half got the real prize, though - their weight in wine! 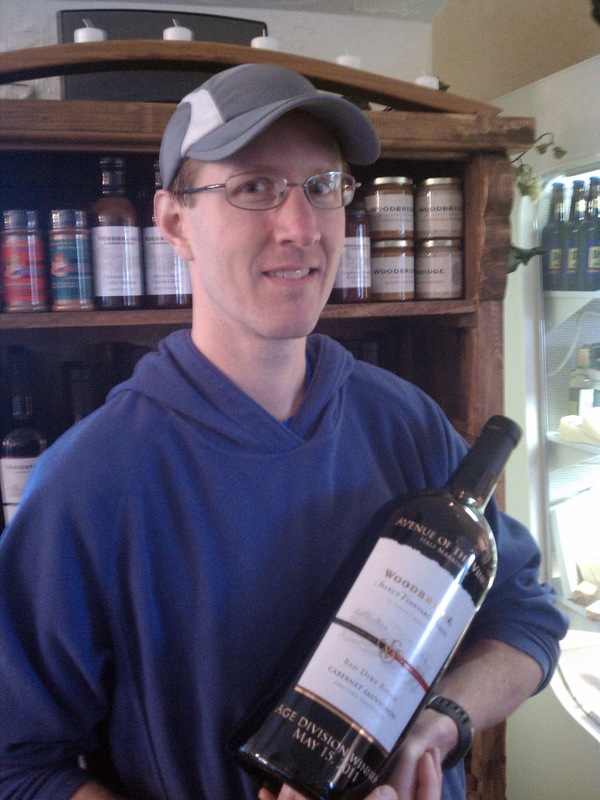 The 5k winners didn't do so well - there were no separate prizes for the overall winners that were different from the age group winners, so Chris only got to bring home a 1.5 liter bottle for his win. Same story last year, when he set the course record. 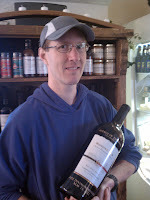 But Abby made up for that in the tasting room, picking out a few other bottles to bring home. After a nice post-race soak at the hotel and a late checkout, we headed back home. 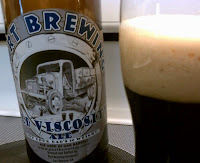 A stop in Grass Valley for lunch and a snowy drive over the pass, and I got to enjoy my PR beer. Thanks again to Chis for the suggestion there - gooood stuff. 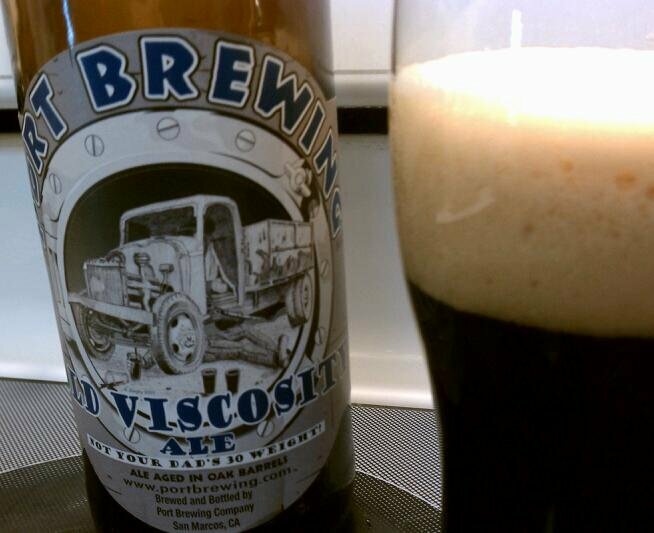 great job out there, and thanks for the beer pic...makin me thirsty!! !